(May 21, 2018) – McGuyer Homebuilders, Inc., (MHI) continues to be recognized as one of the largest homebuilders in the nation by BUILDER Magazine, climbing two notches on the 2018 Builder 100 list to No. 34. The firm is parent company of Coventry Homes, Plantation Homes and Wilshire Homes. The annual tally is based on data compiled via direct survey of the nation’s top builders. Rankings are determined by the total number of homes closed during the previous year. The Texas builder closed on 1,743 homes in 2017, a 15 percent increase over 2016. Known as a leader in energy-efficient home design and construction, the Austin and Dallas divisions of MHI were named LEED Homes Power Builders for 2017. The divisions were two of only four Texas builders to receive the designation, which requires award-winners to have LEED-certified 90 percent of their homes built during 2016. 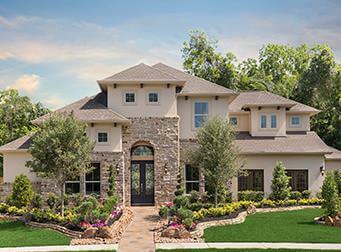 McGuyer Homebuilders, Inc. launched in 1988 and builds as Coventry Homes and Wilshire Homes in Austin and San Antonio, and Coventry Homes and Plantation Homes in Dallas-Fort Worth and Houston. In all, the company builds in more than 90 Texas communities. This article originally appeared on McGuyer Homebuilders, Inc.